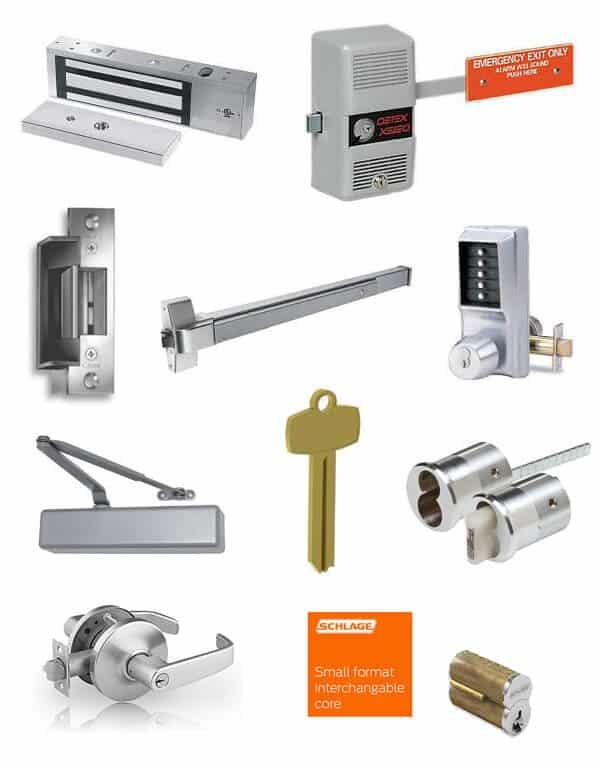 For all your commercial lock, key and lock hardware requirements, contact the local and trusted team at Wilsons! We offer maglocks, electric strikes and locksets with high security, patented / restricted keyways as well as basic keyways – From master key systems to door closers, panic bars and padlocks Wilsons has a solution to meet your needs and budget. We work with many brands of equipment such as Abus, Ilco, Stanley / Best, Master, Arrow, Medeco, Schlage, Detex, LSDA, Assa Abbloy, Falcon, Yale, Sargent and more. Are You Interested In Lock Hardware?